Working with a new company can be scary. How do you know you’re working with a legitimate company? How do you know that they’re honest in their business practices? Essentially, how do you know that you can trust them? 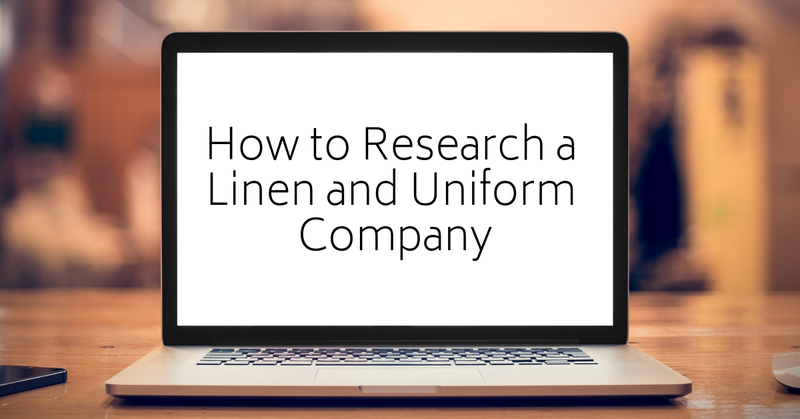 If you don’t do your research when it comes to linen and uniform companies, you could get locked into a contract that you don’t really understand. 1. Check the company’s references/reviews. What’s the best way to know if a linen and uniform company treats their customers right? To research the opinions of other customer! Of course, you can’t take every review seriously. Every business deals with people who are difficult to please, no matter how much they do to make their customers happy. But, checking out some customer reviews and testimonials is a great place to get more in-depth information about how a linen and uniform company deals with its clients. 2. Determine how long the company has been in business. When it comes to your linens and uniforms, you don’t want to work with a company that’s still working out the kinks. Instead, you should verify that the company has been in business for at least a few years. Otherwise, you may be dealing with a lot of lost or incorrectly-washed items from a company that’s just trying to figure things out. 3. Look up the company’s legal history. Does the company have any outstanding judgments or liens? Are they involved in any lawsuits that make you uneasy? If so, they might not be the right company to work with. Try to find a linen and uniform company that has a good record. You should also check to see if any of the principals have a history of bankruptcy. 4. Conduct a Better Business Bureau lookup. The Better Business Bureau helps provide information about different businesses so that consumers can make a more informed choice. Before you sign a contract with a linen or uniform service, it’s a good idea to check out their Better Business Bureau listing. The best companies will go out of their way to affiliate themselves with industry organizations that promote best practices, green technology, and ethical business practices. A lot of linen and uniform companies will even get certified by third parties to demonstrate their commitment to providing hygienic linens. While, of course, these certifications aren’t necessary to offer great laundry services, they’re a good indicator of a company’s dedication to providing the best. 6. Listen to your instincts. Have you ever had the feeling that something wasn’t quite right? When it comes to your business partners, you shouldn’t go with a company that you just can’t trust. What does your gut say? 7. Get a quote through LinenFinder.com. Finally, one of the best ways to get in touch with a company that you can trust is to use LinenFinder.com to find the best linen and uniform service in your area! At LinenFinder, we do all of the legwork for you. Our rigorous pre-screening process includes a check of company references, verification of business licenses, insurance coverage and state business filings, a BBB lookup, a bankruptcy search for the principals, a legal search for outstanding judgments or liens and a verification that the company has been in business for at least three years. Fill out our online form today to get in touch with a reputable linen and uniform service in your area! Let us do all of the research for you. Copyright © 2018 Linen Finder, Inc.